When millions of Americans saw the students of Parkland High School speaking before the cameras about their experience of gun violence following a particularly brutal school shooting, many couldn’t believe their poise and disciplined presentation. Many in conservative media claimed they were some kind of “crisis actors” coached by adults to spew a leftist agenda that was not authentically theirs. If you have a teenager, you probably laughed out loud about that one. Imagine coaching teenagers to say things you want them to say. Nope. Seems a little delusional doesn’t it? What I saw that day on television were the faces of teens I recognized, not literally but in the sense that I know teens exactly like those, articulate, thoughtful, and socially conscious. They’ve been a part of my life for many years, in my office, in my Double Take newspaper column, and in my other media contacts. We have scores of shows in our archive that have given teens a platform to express their views on a broad array of topics and almost always, whether you agree with them or not, they’ve been inspirational commentators. Not a “crisis actor” among them. 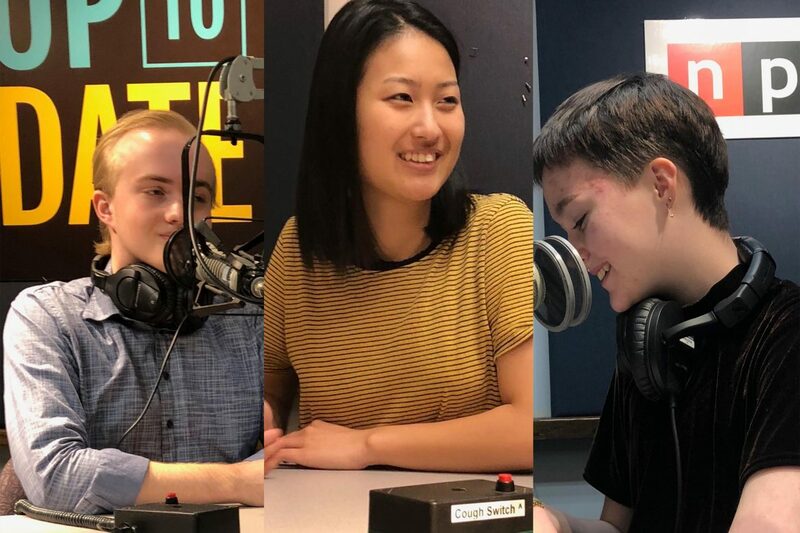 In this installment of KCUR’s Up to Date, I’m joined by yet another panel of three teens from Lawrence Free State High School who have a lot to say on the topic of social activism and why it’s important to them. We need to listen to what they have to say. As adults, we’ve made a fairly big mess in this world. These are the people who will lead us out of it. If Violet, Nicole, and Jackson are any indication of what’s ahead (and I would argue that they are) we’re in good hands. Click on the Play Button below, listen and learn.